Anytime I can make an old favorite healthier and more fun, I take the opportunity to do it. If you’re trying to reduce the amount of red meat in your diet, you’ll love this meatball recipe made with chicken. It’s fun and fancy enough to serve as a main dish on a party buffet or eaten as an appetizer, but I love serving it at home for a meal. You can make them ahead, freeze and thaw them when you’re ready to use. Once thawed, all you need to do is broil them to get the crispy outside, bake them in the oven or in a toaster oven or even microwave them, but they aren’t as crisp that way. 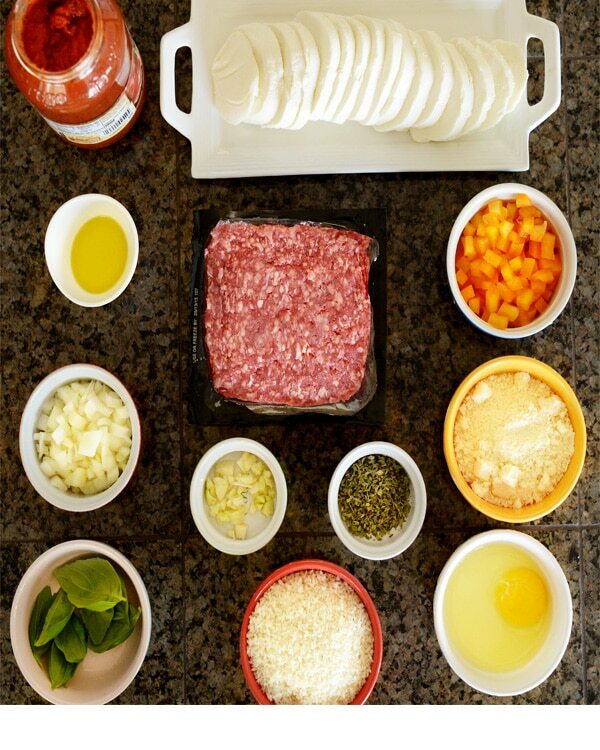 The ingredients are simple, basically ground chicken and everything else you’d need for delicious meatballs; egg, diced red bell pepper, salt, pepper, onion, garlic, oregano, and basil. You’ll also be adding some shredded Parmesan cheese, but instead of mixing breadcrumbs into the recipe, you’ll top it with a mixture of Italian breadcrumbs or panko and more shredded Parmesan. 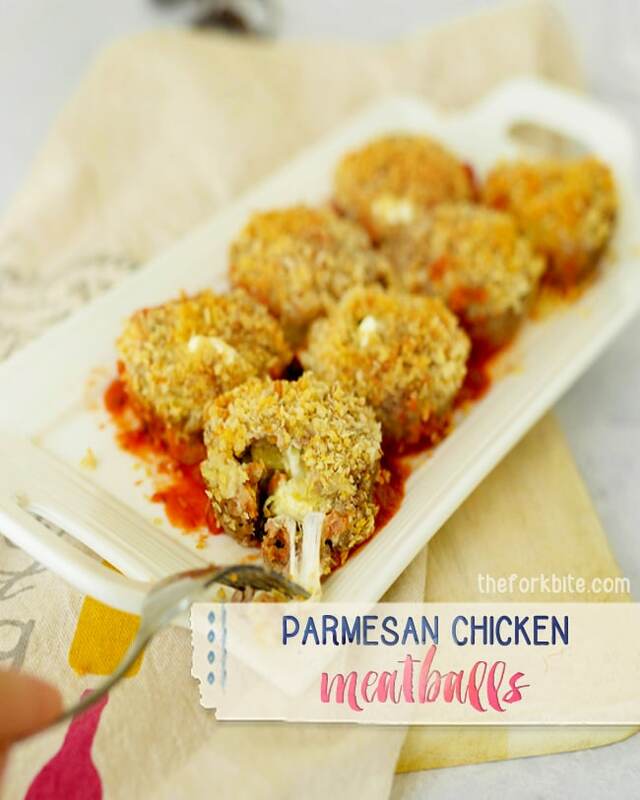 The surprise is a cube of Mozzarella cheese that melts in the middle of the meatball. If you can’t find ground chicken, buy chicken breasts and ask your butcher to grind the chicken for you or if you’re lucky enough to have your own meat grinder, simply buy chicken breasts and do it yourself. 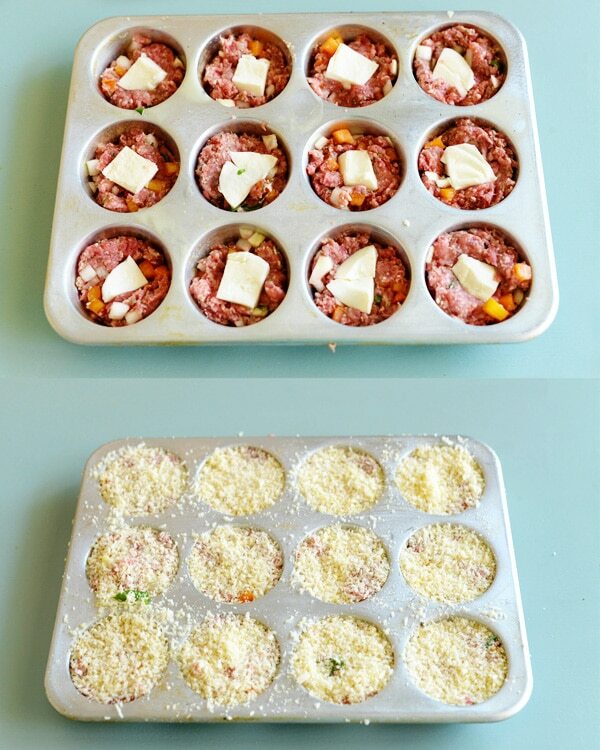 You’ll need to coat mini-muffin tins, put approximately two tablespoons of the chicken mixture in it. Depress the center of the meat and put a small square of Parmesan cheese in the center and fold the chicken mixture over to cover it. In a separate bowl, combine the breadcrumbs and more shredded Parmesan cheese with a bit of olive oil. Sprinkle this over the top, pressing it to help it stick better to the meat. 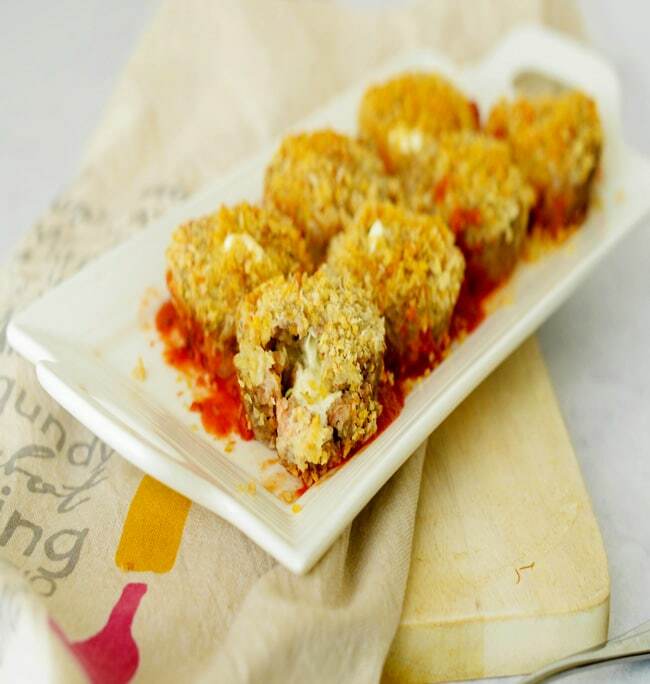 Bake these mini meatloaves in an oven preheated to 400 degrees for 25 to 30 minutes. Allow the mini meatballs to sit for about five minutes or they’ll break apart when you try to remove them. Once you remove them from the pan, serve them with marinara sauce and watch how fast they disappear. You can combine them with a substantial salad to make them a meal or use them as one of your appetizers for your next party. 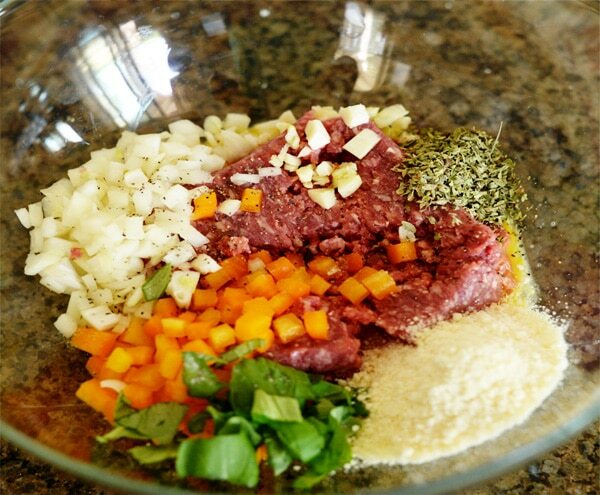 If you’re trying to reduce the amount of red meat in your diet, you’ll love this meatball recipe made with chicken. It’s fun and fancy enough to serve as a main dish on a party buffet or eaten as an appetizer, but I love serving it at home for a meal. In a small bowl, combine the panko, half of the Parmesan cheese, and the olive oil. Using your fingers, combine the mixture until it's evenly coated. Set aside.